The public version of the association’s Annual Report of the year 2016/17 is available now. The report contains information about strategy and outreach, annual meetings, activities of the Executive Board, Executve Director and Office as well as working and interest group accomplishments. Moreover, the report covers themes like marketing and communications, membership, publications and representation of COAR at major international and regional conferences. An internal version is available for members and partners only. The public version can be found here. 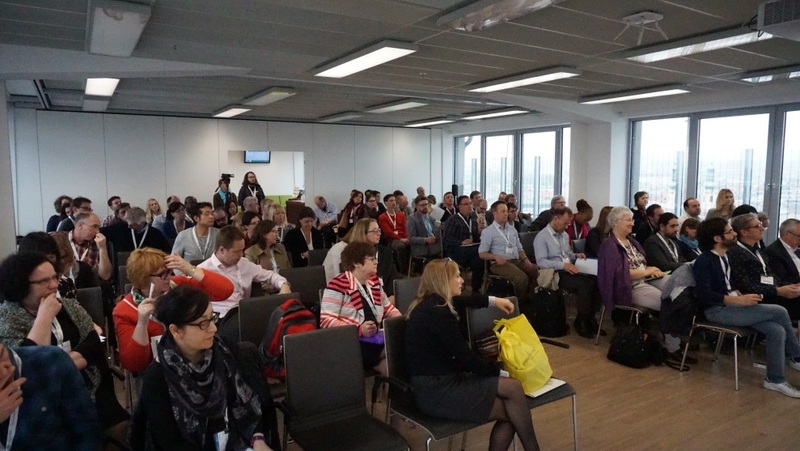 On October 10th &11th, the „Open Access Tage“ (Open Access Days) took place in Munich. The Open Access Days are the key annual event for the Open Access community in the German-speaking countries; this year with an all-time participant record of over 350 attendees. Its target audience includes OA-experts and advocates, researchers of all disciplines, librarians and representatives from publishing as well as research funders and supporters. The range of topics were very broad (see programme) touching different aspects of Open Access. 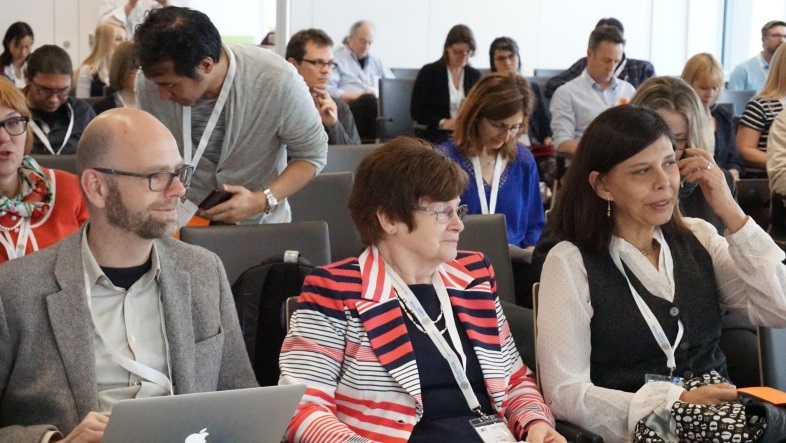 A special focus was on ways of shaping transformation processes from subscription to Open Access, discussing APC-based strategies as well as alternative models and the role of repositories. Further related topics were alternative evaluation systems, new publication services and OA strategies. 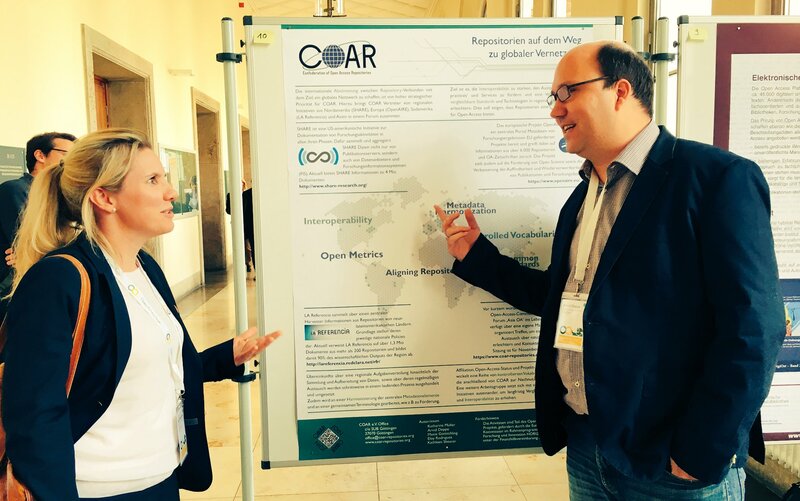 For COAR, Arvid Deppe presented a poster on our aligning activities (“towards a greater alignment of repository networks“ in German, also available in English). Furthermore, a short report in English is also available on the OpenAIRE blog, written by Jessica Rex Key and Anja Oberlaender from the University of Konstanz, COAR member and OpenAIRE National Open Access Desk for Germany. New roles for open access repositories, value-added services, improving the flow of research knowledge and international collaboration were among the major themes for this year’s COAR (Confederation of Open Access Repositories) Annual Meeting and Conference, held at the University of Vienna on April 12-13, 2016. There was also a special focus on China providing an overview of the current state of open access and open research data in China. Additionally, the annual General Assembly, dealing with the business matters of COAR, took place on April 12. Overall, the programme provided a valuable opportunity for participants to make connections, and learn best practices from colleagues around the world. The conference was attended by eighty participants from Asia, Africa, North and South America and Europe. All presentations and posters can now be found on the event programme page. Moreover, the 2015/16 edition of the Annual Report gives an overview of recent activities and ongoing projects. 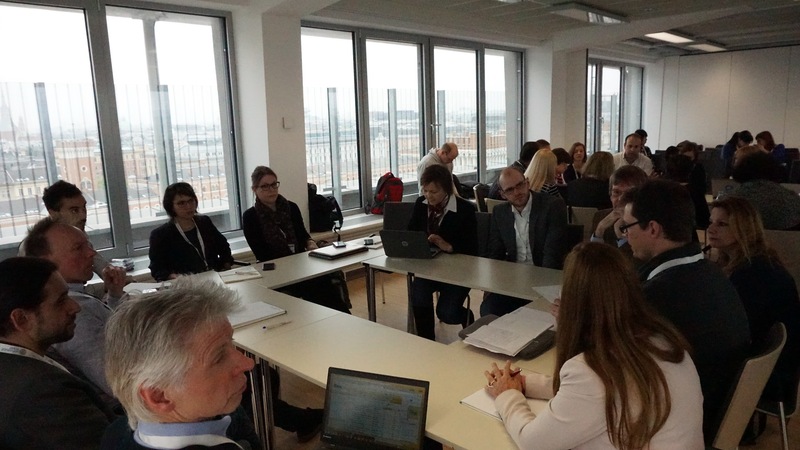 The pre-conference day on April 11 was dedicated to meetings of different working groups. The start was made by the Aligning Repository Networks Committee. High-Level representatives from Africa, Asia, North- and Latin America and Europe shared updates of the progress made since the last meeting in Porto one year ago. Based on a discussion of strategic issues and challenges, four areas for further collaboration were identified: It was decided to work towards agreements across regions to expose an agreed set of metadata, i.e. a neutral metadata schema which regions and disciplines can map their schemas against. Also, efforts shall concentrate on formalizing ways how to expose metadata. Moreover, sharing information about what is happening will remain a key in the cross-regional activities. Last, but not least, close connection is also established with the future developments of the next generation repositories working group. During the next session, a new working group was launched: The Next Generation Repositories. The aim of the group is to identify the core functionalities for the next generation of repositories, as well as the architectures and technologies required to implement them; and to work with the repository community to help adopt these functionalities. The WG members, representing some leading thinkers in terms of repository technologies, also intends to build a global brand for repositories that establishes repositories as a central place for the daily research and dissemination activities of researchers. planning of dissemination materials, contributions to workshops/conferences and organization of webinars in collaboration with the Support & Training group. plans for the next vocabularies (on version types and access rights). On April 12, Herbert van de Sompel, Los Alamos National Laboratory Research Library, kicked off the plenary discussion about establishing new levels of interoperability for web-based scholarship [slides] with a provocative statement: “We were digital libraries people and created repository-centric interoperability, but now we need the web/resource-centric one”. Check out the article “Reminiscing About 15 Years of Interoperability Efforts” Herbert wrote together with Michael L. Nelson for D-Lib Magazine. Herbert suggested that the repository community needs to address interoperability challenges from the perspective of the web with the resource at the center of the universe, because the notion of a node, a repository, not even of a web server exists in the architecture of the web. And use the following tools of the web-centric interoperability trade: resource; URI; HTTP as the API: HEAD/GET, POST, PUT, DELETE; representation; media type; link; content negotiation; and RDF, HTTP stacks and HATEOAS – Hypermedia As The Engine Of Application State: typed link and controlled vocabulary for typed links. Good practice advice to repository managers: to consider ResourceSync, which is based on the Sitemap protocol, that is widely used for search engine optimization, the next-generation OAI-PMH. COAR will be hosting webinars to discuss the implementation of ResourceSync with repository administrators and managers. dissemination – publishing – still has limited accessibility. Does validation ensure quality, reproducibility, reliability? Does the system promote ethical conduct? Does it recognise quality? What is the cost in time and money? These were some of the questions Pandelis asked. And his answers were to have many reviewers who are experts in the field(s) providing open reviews, engaging in transparent dialogue and receiving a reviewer recognition for this work. “Receive credit based on “where” instead of “what” should be changed, because, really, what does the name of the journal say about its articles in the journal long-tailed hierarchy? We also need multi-parametric indexes and overall and dynamic assessment. 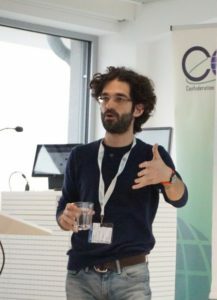 Pandelis suggested the alternative in “Natural selection of academic papers” he co-authored with Michael Taylor, Marco Mazza and Varvara Trachana. And “Self Journal of Science” http://www.sjscience.org/ has been mentioned as an example of the repository with overlay review services, check out “Principles of the Self Journal of Science: bringing ethics and freedom to scientific publishing”. With the support from OpenAIRE, Open Scholar has coordinated a consortium of six partners – institutional repository of the Spanish National Research Council (DIGITAL.CSIC), repository of the Spanish Oceanographic Institute (e-IEO), The Artificial Intelligence Research Institute (IIIA) in Catalonia, The Multidisciplinary Laboratory of Library and Computer Sciences (SECABA) in Granada, and a company of DSpace professional development and services (ARVO) – to develop the first Open Peer Review Module for institutional repositories. The module integrates an overlay peer review service, coupled with a transparent reputation system, on top of institutional repositories. It is provided freely as open source software: https://github.com/arvoConsultores/Open-Peer-Review-Module/wiki. Read more how it works, what the reputation assessment module is and what the benefits for repositories are here and here. The Open Peer Review Module has been presented on the 27th of April in the CSIC Royal Botanic Garden in Madrid. And COAR webinar is planned to discuss the implementation of Open Peer Review Module for institutional repositories. Round table discussions addressed the topics of controlled vocabularies, research data management, and repositories support and training. COAR plans to launch a webinar programme highlighting good practice experiences on new services for repositories and featuring activities of COAR members. At the round table the work of the Interest Group on COAR Controlled Vocabularies was briefly explained and participants provided valuable feedback about “access rights” (what the meaning of “closed” or “restricted”), the challenge to meet different standards for different stakeholders in repository metadata and therefore the need of comprehensive mappings and crosswalks. In the end to have a controlled vocabulary accepted and widely used by the community not only continuous maintenance counts but also simplicity and uniqueness of vocabulary concept definitions. At the round table discussing research data management, participants shared their current activities with each other and discussed some of the challenges around RDM, which include working with researchers to develop data management plans, collecting and curating multidisciplinary data sets and collection development practices for research data. Xiaolin Zhang [slides] and Li-Ping Ku [slides], National Science Library, Chinese Academy of Sciences (CAS), provided an overview of a decade of open access and open data activities in China. Open access and open science are a part of innovation-driven national strategy for social and economic development and promote public entrepreneurship by using open source technologies, developing open innovation infrastructure and promoting open sharing of scientific resources. They also help in uplifting the national innovation system answering urgent needs outside the elite academic institutions. CAS and National Natural Science Foundation of China have both adopted their open access mandates, and Ministry of Science and Technology (MoST) runs a MoST Tech Report Sharing System. CAS IR Grid includes 102 institutional repositories and CALIS IR Portal – institutional repositories of 40 universities – with researchers profiles, knowledge maps, download statistics, embedded ORCID services, automatic ingest via iSwitch and many more. Open access publishing developments include China Open Access Journals portal, providing full funding for SCOAP3 China, and allowing researchers to use research funding to publish open access articles. MoST also runs a national sharing platform for scientific data and there are many more initiatives opening up governmental data for search, download, and application, for example, National Data Portal by National Bureau of Statistics, National Data mobile apps, patent data download service from the State IP Office, etc. Last year the State Council has also released a Decision on Opening up to the Society of Nationally Funded Research Facilities and Large Devices. Open access in China increases R&D contribution to economy & development; strengthens accountability of all involved in research; helps to fight against duplications, waste, and misconduct; and reforms and develops Chinese STM journals. But still much stronger commitment and coordination are needed and Universities and more governmental agencies should adopt open access policies. Transformation of subscription fees to fund open access publishing should maintain market competitiveness, reduce costs, and enable the affordable participation by all. It should also ensure effective monitoring and control of publication quality and APC prices and involve libraries as a key player. We should ensure that research communities have a say in shaping the future scholarly communication ecosystem. After lunch came the session on “Bridging Continents”, with perspectives on Open Access from Africa, Asia and North America. First, Daisy Selematsela of South Africa’s National Research Foundation [slides] discussed how best to promote exchange and cooperation on OA issues among developing regions. Although the OA agenda is moving forward in South Africa and other African nations, there remains much to be done. Where funding for large scale OA initiatives remains scarce, Selematsela advises that pragmatism is a watchword. For example, by recognising that discovery and access to content/data embargoed in some way is preferable to non-discovery. Next, Kazu Yamaji of the National Institute of Informatics in Japan discussed the OA landscape in his country [slides]. Although almost all Japanese national universities now have their own repositories, initiatives like the JAIRO Cloud (a web-hosted repository) is now making repository services available to smaller universities (as of 2015, there were more than 650 repositories in Japan). The next steps lie in furthering interoperability amongst this national network and then furthering that interoperability within Asia and globally (for instance, by investigating data-sharing with OpenAIRE). In the final contribution to the “Bridging Continents” session, SPARC’s Heather Joseph discussed lessons SPARC has learned over the last 10 years of advocating openness [slides]. This included invaluable advice such as the need to push the full Open Science agenda (from open data to reproducibility, open source to open peer review), as well as the need to get away from talking about Open Science as an end in itself, but remembering to always discuss it as a means to bettering the way science and education are done. Heather then pivoted to discuss how the changing political landscape in the United States offers a chance to push forward the Open Access/Open Science agenda. The last session focused on sharing of knowledge for fostering development across the globe. André Laperrière from Global Open Data for Agriculture and Nutrition (GODAN) presented the network’s activities to promote open data to advance agricultural developments. Godan is an international organization aiming to improve access and use of data in agriculture to support development at the grass roots level. GODAN emerged from a series of G8 meetings in 2012 and 2013 and was formally launched at the Open Government Partnership Summit in London in October 2013. 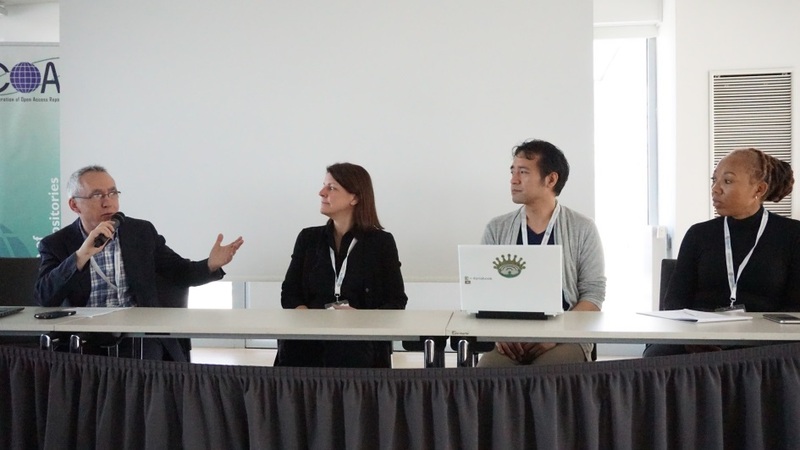 During this session, GODAN and COAR announced planning an official partnership to work together to address their common vision of open science and research data sharing for the good of society. The conference programme was complemented with a social programme which allowed participants to gather, meet each other and exchange experiences from their countries. A tour of the historic city of Vienna with its beautiful palaces, a visit to the university library, dinner at the traditional fairground of Prater, and last but not least music with a brass band leading us down eleven flights of stairs from skylounge contributed to an overall rich and interesting conference week. Many thanks to the University of Vienna and the University Library for hosting the Annual Meeting of COAR with such hospitality and wonderful staff. This report is written by Iryna Kuchma, Katharina Mueller, Arvid Deppe, Tony Ross-Hellauer, Daniel Beucke, Kathleen Shearer and Jochen Schirrwagen. A selection of pictures (by José Luiz Preza, University of Vienna) are available here. All photos can be found on our flickr site. Interviews (audio & transcription) of interviews conducted with conference participants can be found at the pages of Phaidra and COAR. An interview with Kazu Yamaji. Further videos (including keynote speeches) will follow. Blog post by Pandelis Perakakis: Report back from the COAR 2016 annual meeting. Blog post on FAO blog: Highlights from the COAR 2016 Annual Meeting & General Assembly. Blog post on OpenAIRE blog: COAR Annual Meeting 2016: The Role of Collaboration in Building a Global Knowledge Commons. 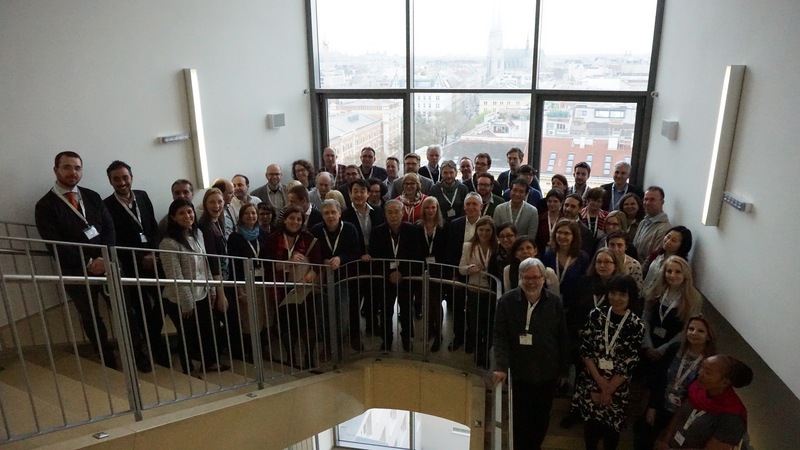 This week, the 11th Annual conference on Open Repositories takes place in Dublin, Ireland.